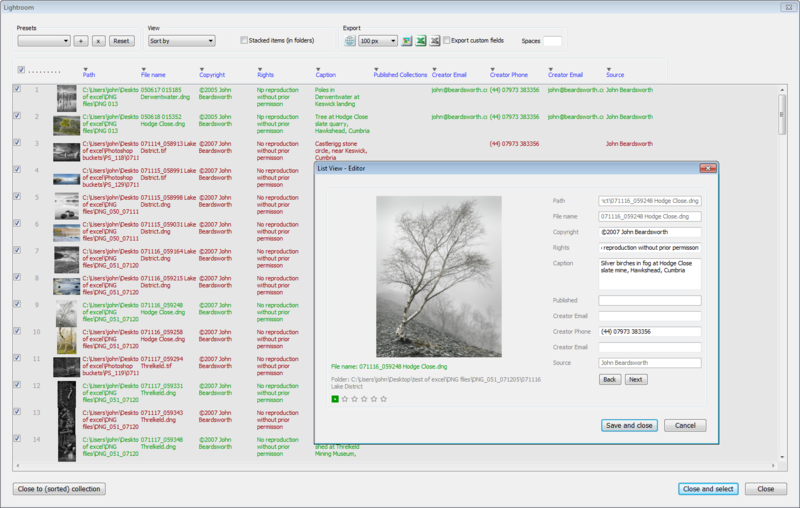 ListView is a plug-in for Lightroom (3 or later) that displays images in a list style just like in most other DAM (digital asset management) programs. Sometimes it’s a lot easier to review your metadata entry in a list than by scanning through a grid of thumbnails. All posts related to List View. As with my other main plug-ins, it’s available from Photographer’s Toolbox.